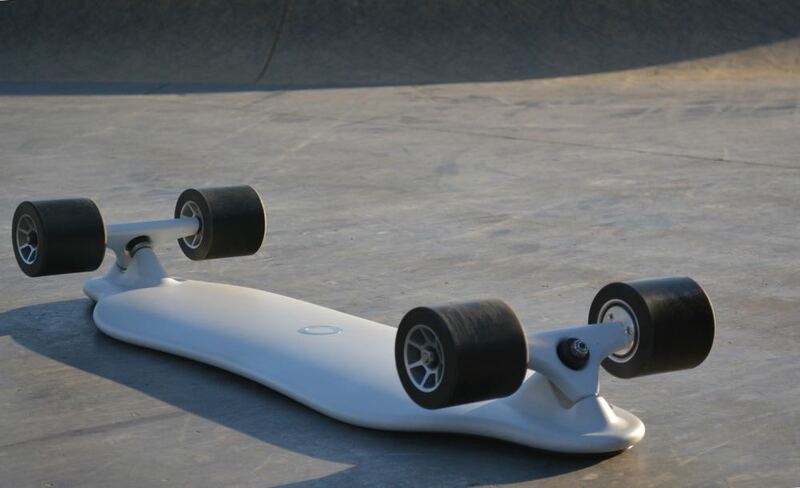 Take a look at the skateboard for the 21st century – it’s electric and it’s called the Zenboard. It was developed right here in Australia and, like a regular skateboard, can be controlled hands-free and reach speeds of up to 40km/h. The lightweight electric skateboard transfers the Zen of surfing from the ocean to the city streets. Zenboard was invented by the Australian mechanical engineering student at Monash University It is made from durable carbon fibre with the unibody deck and a sleek waterproof exterior that seals in the electronics. And because of its one-piece construction, less material is required along with fewer parts so the board is lighter without compromising on strength. Other electric skateboards require the rider to hold a controller – but not the Zenboard. It has a hidden weight sensors that measures the riders weight distribution more than 1000 times per second. As a result the Zenboard can respond instantly to changes in your balance and reduce your risk of falling. All you need to do is lean forward to accelerate and lean back to slow down – it’s that simple.So simple, in fact, it only takes a few minutes to learn how to ride it. Not having a remote allows users to can focus on their ride and means they have one less device to charge. The FlowControl system is the result of more than two years of research and development and numerous prototypes. There is also an intelligent braking system on board which brings the Zenboard to a complete stop as soon as you step off. Under the hood is more than 2300W of power to achieve a top speed of 40km/h and enough power to climb up hills with a 30 per cent gradient. On a full charge the Zenboard has a range of up to 35 km. The ArcDrive motor uses a 3:1 gear ratio to offer three times the torque of standard in-wheel motors. Zenboard has a premium lithium cell battery which lasts five times longer than the standard cells seen on other electric skateboards. The Zenboard will be offered for preorder at the early-bird price of $US1,299 – that’s a saving of $US500 off the expected retail price.